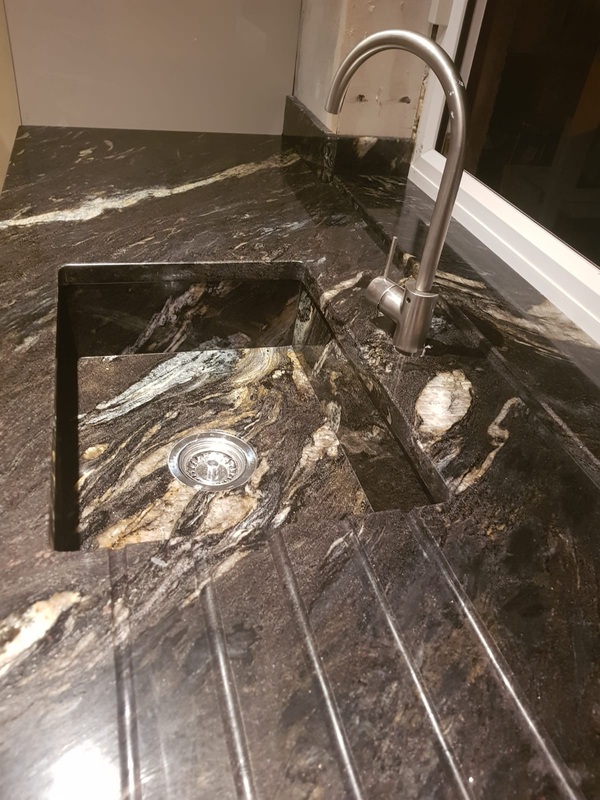 The Beauty of Marble Limited is a family run business that fabricates and installs natural stone work surfaces with a Seamless Finish throughout Scotland. 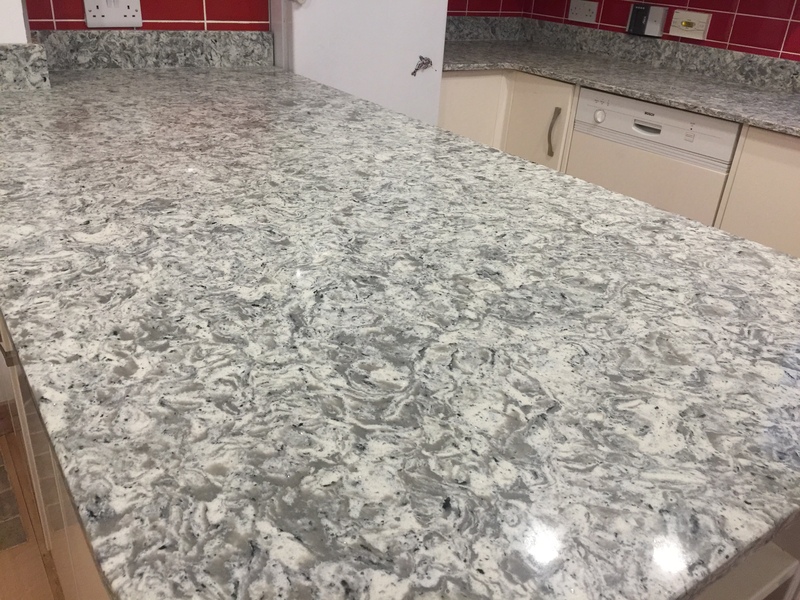 We have over 40 years experience among us handling Granite, Marble and Quartz so you know that your worktop will be in the best hands. Our Granite and Quartz Worktops are all handcrafted to each kitchen’s specification. Whatever your budget, material or colour, we guarantee a luxury finish. At The Beauty of Marble Limited we specialise in granite and quartz worktops. We are a family run business based in Kilwinning, North Ayrshire. We cover the whole of Scotland, including, Glasgow and Edinburgh. We fabricate, template and install and understand the importance of adding the perfect finishing touch to your kitchen and we will put you and your needs first at all times – we provide a personal approach from the very first contact right through to the installation process, ensuring that you are fully satisfied with the new focal-point of your kitchen. 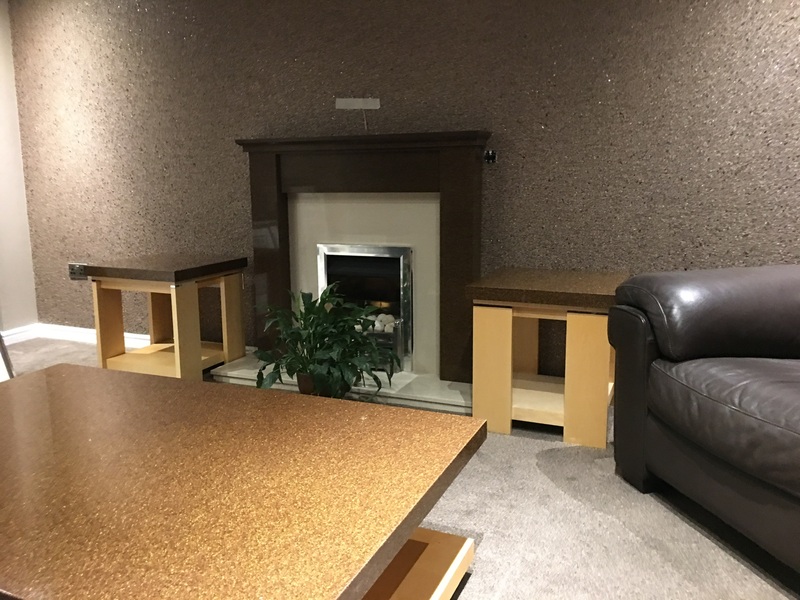 When you visit our showroom we will take you through the different material and colour options available to find the right choice at the right price for you. At The Beauty of Marble Limited we don’t just know about Granite, Marble and Quartz we LOVE Natural Stone and this is why we invest in the highest quality materials, machinery and polishing kits. 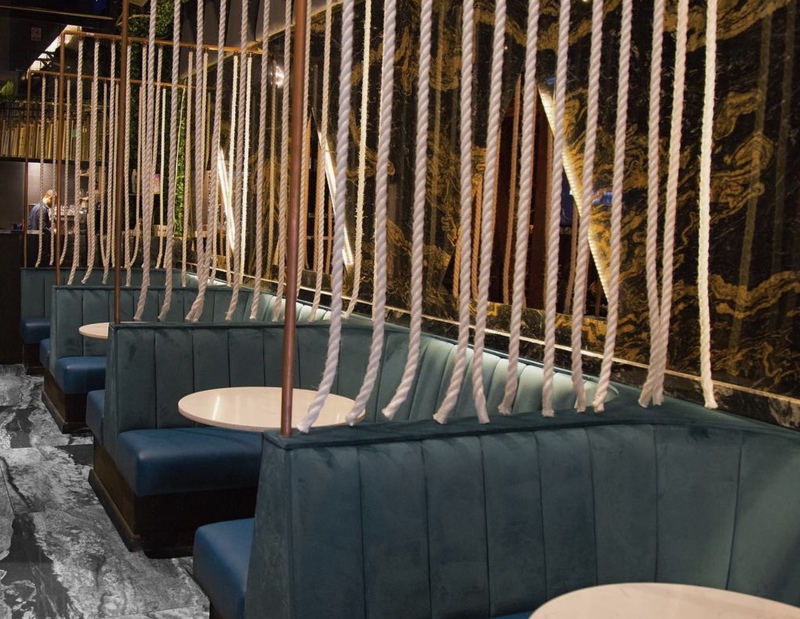 The Beauty of Marble Limited is pleased to announce that we will be exhibiting at The Ideal Home Show Scotland at the SEC Glasgow from the 24th May to the 27th May 2019. Follow us on Facebook, Twitter & Instagram for update on ticket discounts and competitions. A Granite Worktop LOVES to stay clean. 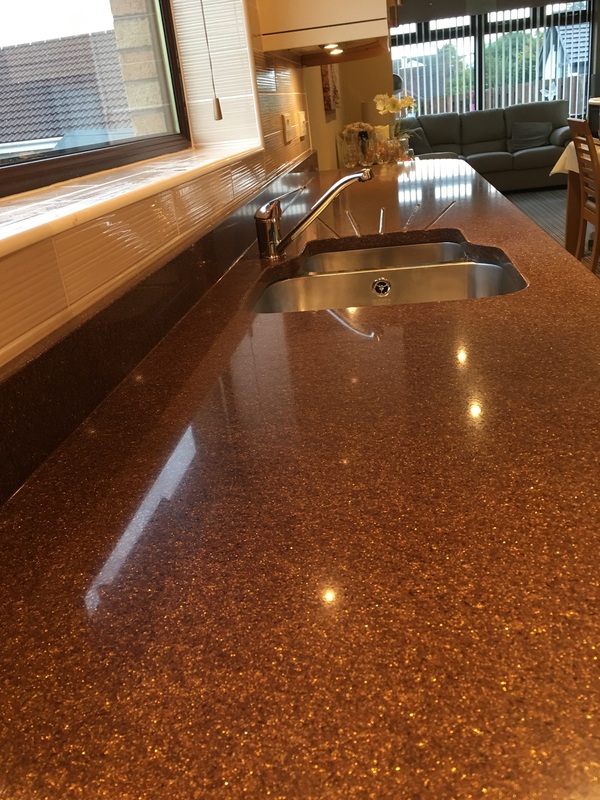 You will never have to scrub a Natural Stone Worktop or use harsh chemicals to clean it. This is great news after the recent headlines warning that household sprays can be as damaging to your lungs as smoking twenty cigarets in a day. Scotland has a long and interesting history with Natural Stone. Although most of the granite and marble that we use today come from Spain, Italy, China and Egypt it is important to acknowledge that many of the UK’s landmarks were in fact built using home grown stone. Why The Beauty of Marble Limited? The workmanship and attention to details is first class and second to none,and I would have no hesitation in recommending this company to come and fit any Marble, Granite or Porcelain project. "The service provided by all of the staff was exemplary. The product range on offer was extensive and the assistance provided in the selection of our worktop was most helpful. The attention to detail with measurements and fittings was of a very high standard. All of this with a very competitive price. We highly recommend The Beauty of Marble company to anyone considering such a home improvement project." I’ve worked with this company for the first time. All I have to say is wow very impressed!! The professionalism & work ethic was more than I expected. Any future projects I will only be using this company.